This stylish wall mirror, with hints of the art deco style, is a great accessory for the home. 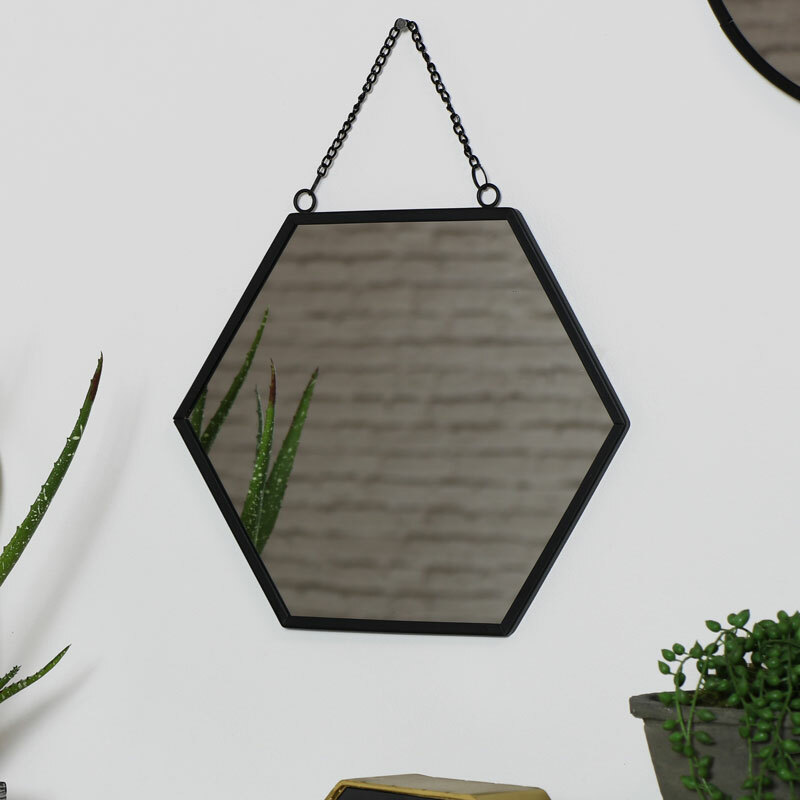 Suspended from a black metal chain with a hexagon shaped black metal frame, this will make a great bathroom mirror or will look just as good hung in the living room or hallway. Both decorative and practical, this eye catching mirror will add a stylish and charming look to your decor. Geometric and minimalist design, this will also make a great gift idea. With so many wall mirrors to choose from you can find just the right one to suit your interior style. 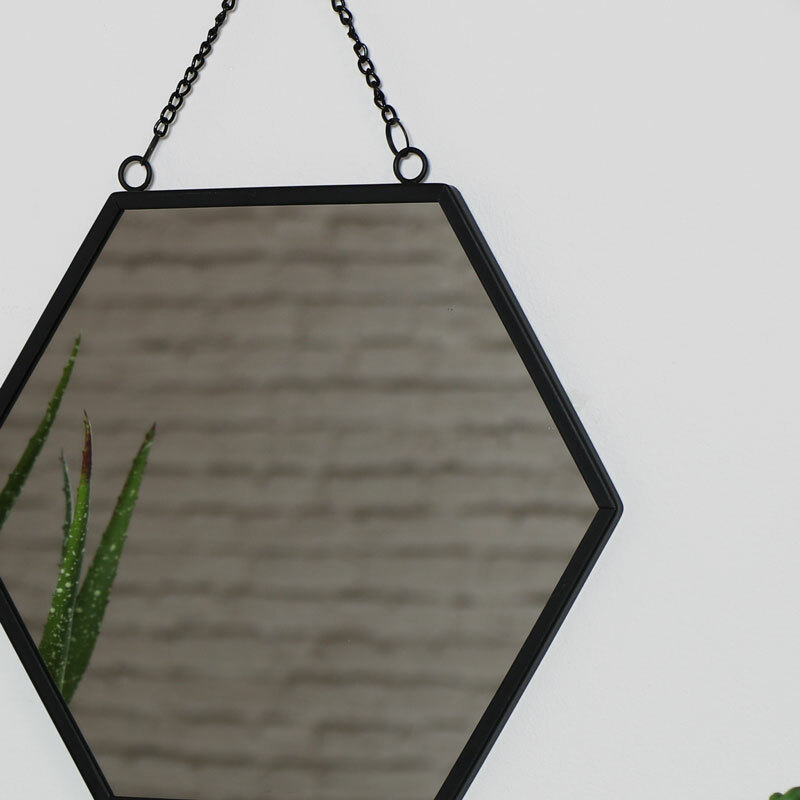 Hexagonal mirror inside a black painted metal frame. Easily wall mounted from the black metal chain.